Farmerline is a Ghanaian software company that provides small-scale farmers with information such as farming tips, market prices and weather reports. Through its mobile messaging platform, Farmerline breaks down literacy and language-related barriers by offering the content in both SMS and voice format in the farmer’s local language. According to Alloysius Attah, CEO and co-founder, the company also gives farmers access to financial services and helps them find with buyers for their crops. Farmerline’s messaging and data collection services have been leased (and paid for) by governments, NGOs and businesses throughout West Africa, connecting them to over 200,000 farmers. However, that isn’t good enough for Attah, as he hopes to reach one million farmers by 2020. Attah, along with two other entrepreneurs, was recently awarded the King Baudouin African Development Prize. 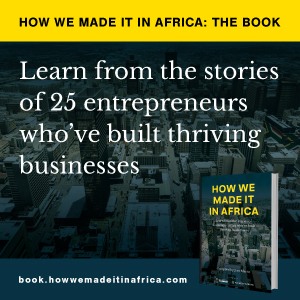 How we made it in Africa asked him about what drove him to start the company, his most exciting entrepreneurial moment, and the challenges the business has to contend with. Here are slightly-edited excerpts. What inspired you to start Farmerline? I started the business with my co-founder five years ago. We were faced with a simple problem, which still exists today: connecting farmers to information, which hopefully helps them increase their yield and income. Personally, I grew up in a farming community. My co-founder grew up in a farming community as well. Most people at Farmerline spent some time on a farm, and have a very strong agricultural background. And so, we being engineers – having the ability to build mobile and web applications – have inspired us to build something that solves problems for farmers. We still own the entire company to date. We have not accepted any foreign investment or any equity investment yet. Most of our operations have been financed largely from revenue – revenue that we have generated from businesses and organisations using our platform to work with farmers. So that includes an existing number of food brands, farm input companies, government and social NGOs. We license our platform to all these people and we finance the company from revenue that we generate from there. We also sell our content services to farmers. But besides that we get a few awards and fellowships here and there. But our entire operation is mainly driven by revenue. Describe some of the challenges your business faces? So the challenges are mostly systemic, like where we are located as a company. We pay very high taxes in this country. We pay about 25% of our profit to the government. And of course the cost of electricity is also very high in Ghana. But the biggest challenge has been that it’s always difficult for African-led ventures or community-led ventures to attract investment – especially big investment. When I look at the investment landscape, we have money available for people who are starting – so US$0-$50,000 – because there are so many competitions on the continent now that are funding entrepreneurs. But if businesses exist for more than five years, they need $1m-$2m to actually move to fundraising the next level. And there are very few who are willing to write cheques in that spectrum. And it is even harder for African ventures – local business owners and young people from the continent who are trying to build something. That’s why this award that we are getting from the King Baudouin Foundation is a great endorsement that will hopefully open a lot of doors for us to raise money. We even think of ourselves as being in a fortunate position because we have strong connections and we have the credibility as well. But the new businesses that are arising, they don’t have the fancy watch, they don’t have the slick pay cheque, they don’t have their 100-word elevator pitch nailed down – but they are doing great work and they are making a lot of change. And because they don’t fit into this criteria, it’s hard for them to get investment. Tell us about your most exciting entrepreneurial moment. The most exciting moment that I remember is when we actually got our first partner. It was very exciting. Also, I remember I was at a networking event and I met this lady that works for an organisation called MEDA – they are working in Ghana with like 20,000 women soybean farmers. And I was trying speak to her about Farmerline because I knew she is the head of the project. And we had no credibility and nobody knew us. So I basically just said, “I want to work with you, but I know we don’t have the credibility, but we will give you a platform to use for three months for free. And then if you don’t like it you can go work with the competition – but if you like it you can become our customer.” And we have been working with them now for four years. So that was a very big moment – to get an outsider who doesn’t know me, to pay for our product and service. That was the boost to my confidence I needed to work with my team to take the company to the next level. My biggest mistake has been assigning the right people to the wrong roles. I’ve learnt that my role as a leader has evolved from being the hardest working person in the room to being good at allocating the right resource to the right opportunity in the company. So being very good at finding the strengths of individuals and then their passions and visions. And I failed at that so many times. I remember one big example of hiring a sales person. Somebody who was really great at business-to-consumer sales – and I hired this person to come do business-to-business sales in a tech company. So that was a very smart person, but the wrong role. And unfortunately that person had to resign. Because the dynamics in running business-to-consumer sales is extremely different from business-to-business. And that was a really big lesson for me – to always, always try learn about the strengths of people and what they are passionate about in their field, and place them in the correct roles that make them feel fulfilled and also successful.